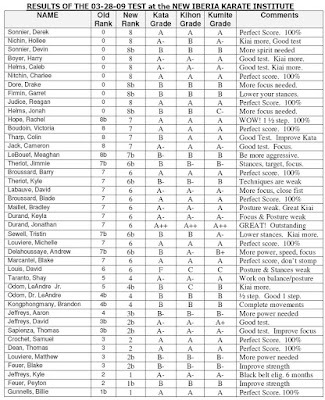 KYU TEST RESULTS, 12-05-09. Sensei Mikami thought everyone was on track, but wanted to see more improvements in basic techniques by the more advanced belts. He also thought that on counter attacks there was too much time between the block and the counter attack. We will work on both things in the upcoming months, but continue training hard. Above are the results. Click on the image to see a larger version of it. Overall we had very good results on the kyu test. We had thirteen perfect scores, which is very good. 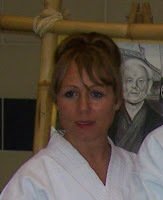 Sensei Mikami commented that the standards of the students had improved from the last test. That is not to say that everyone did better, but overall the results were improved. If you are not satisfied with your scores, than take it upon yourself to improve your time and focus in your training. 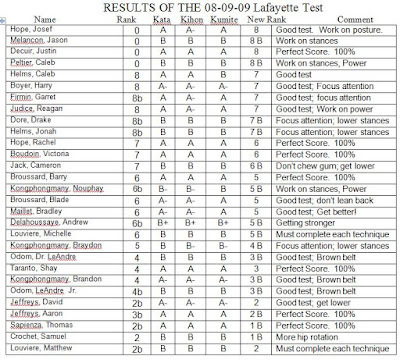 If you click on the image of the test results, it will get bigger and easier to read. Thanks for the effort. I will see you next week. Here is a copy of the March Newsletter. We have lots of events planned for this month including the Greenville Camp, the Gasshuku, two pre tests, one kyu test and preparation for All South. Lets all put forth a full effort this month. The Student of the Month is Jake Hebert, and you can read more about him in the newsletter. 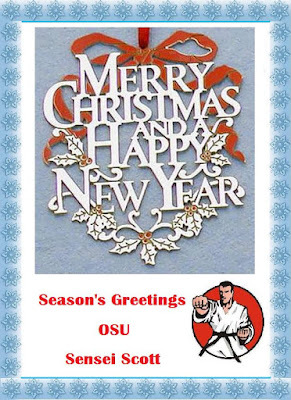 Also, start getting ready because the All South Karate Championships will be held at UNO on April 4, 2009. 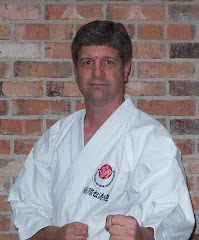 The JKA American Federation Camp 2009 will be held May 28 through May 31 at Tulane University in New Orleans, Louisiana and brings together Mikami Sensei, Osaka Sensei and Taniyama Sensei as featured instructors. Keep training hard for these important events. It takes a lot of effort to maintain the mind of an enthusiastic beginner when you train martial arts. Seeing the ocean for the first time, hearing a new song, or discovering a new food can all be adventures. We often approach a brand-new activity, like Karate, without excessive pre-judgment, thus allowing ourselves a fuller experience. The strategy behind Beginner’s Mind Philosophy, known in Japanese as SHOSHIN, is to bring that sense of eager anticipation to all of life’s experiences, whether they are new or well known. Beginner’s Mind stresses the importance of keeping one’s original attitude towards the experiences associated with training or life in general. In order to maintain real enthusiasm, even during the most mundane or exhausting trainings, it is important to be fully present and in the moment. Beginner’s Mind may not be an easy philosophy to grasp or to practice right away, but it is the key to maintaining your interest in the martial arts. There’s an old saying "When you’ve mastered being in the moment, all experiences are new ones", so even if you’ve trained for twenty years, with a beginner’s mind, every class feels like the first. Remember the enthusiasm of the beginner's mind and reflect on what brought you to the martial arts originally. Was is for exercise, for mental conditioning, for self control, for self defense, or just for self improvement? Karate changes very little and then only incrementally, but our perceptions of Karate may change more dramatically. The key to unlocking the beginner's mind lies within each of you and unlocking your own Shoshin will lead to longevity and mastery of Karate. Click here for our January Newsletter and the February Newsletter. Our Student of the Month for January was Candis Durand and for February was Cody Sedlitsky. I have changed the look of the site and have added an interactive calendar at the bottom of this page that I hope helps keep us on schedule. Please let me know if it is operating properly in your browser and if you like the new look.